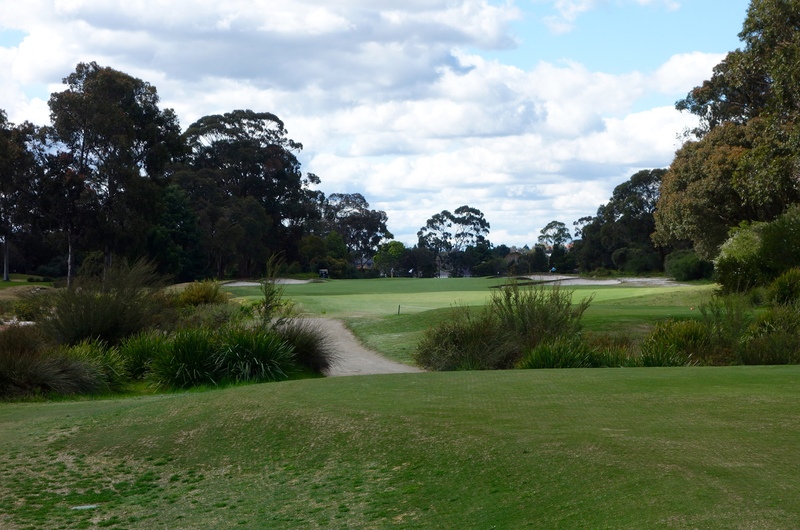 Our round at Metropolitan Golf Club was my first taste of Australian Sandbelt golf. 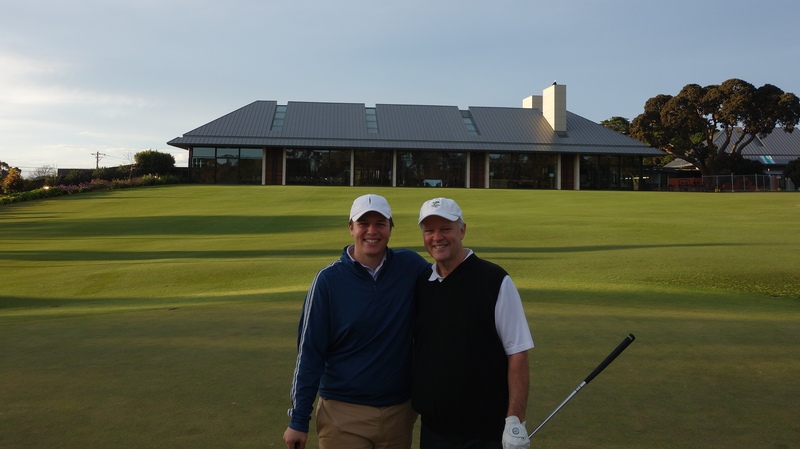 I flew with my dad from the Carolinas all the way to Melbourne, and although we only had six days for the trip, every moment was packed with golf. The first 18-hole round of the trip was at Metropolitan, and in a piece I wrote for LINKS Magazine, I referred to it as the “dark horse” of the trip. It was the course that I knew the least about on the trip, and as I asked around, relatively few Americans had ever heard of it. 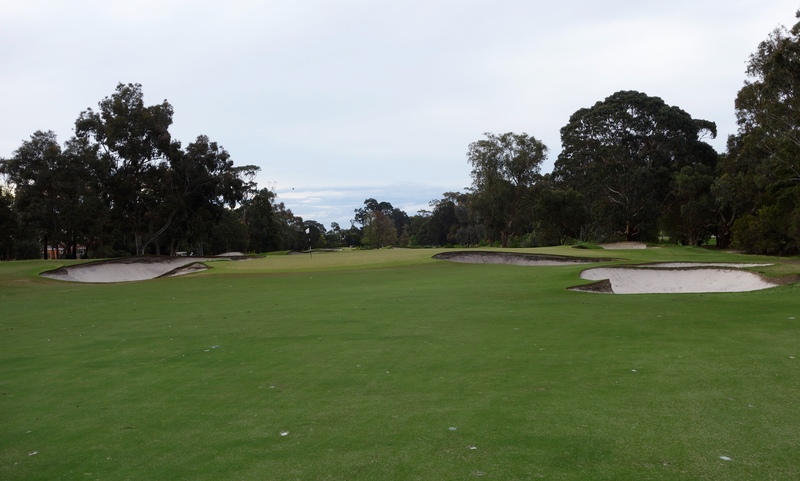 Interestingly, Metro turned out to be one of my favorite rounds of the trip, and if you’re planning a golf trip to Australia, you’d be remiss the leave it off the itinerary. 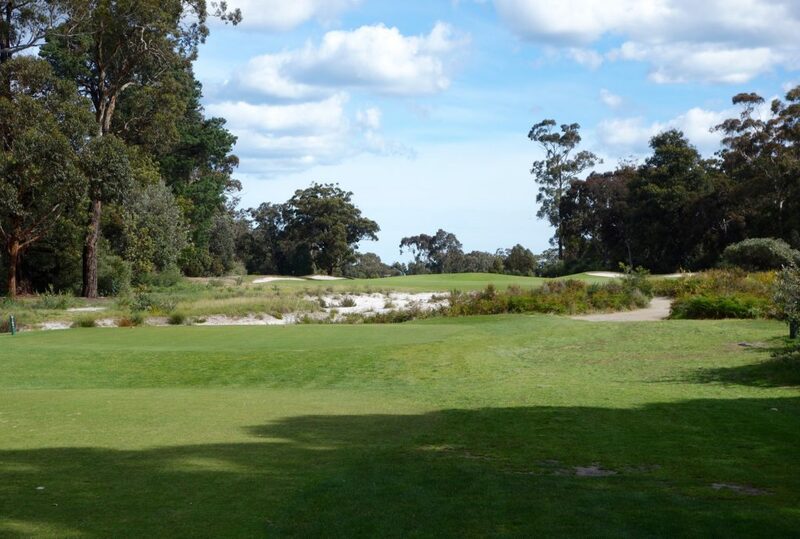 The round also further instilled my great experience with Australian’s hospitality and generosity. Prior to my trip, I was put in touch with an Australian who had spent a year at the University of St Andrews. He was able to join for the round and share some key local knowledge that really added to the day. Combine him with the extremely welcoming and professional guest services manager at the club, and we couldn’t have felt more welcome. That hospitality became a theme across the entire trip. In the hole-by-hole descriptions below you will notice that I harp on about the bunkering at Metropolitan. It is some of the most unique and beautiful that I have ever seen. Metro is famous for mowing the greens right to the edge of the bunkers. 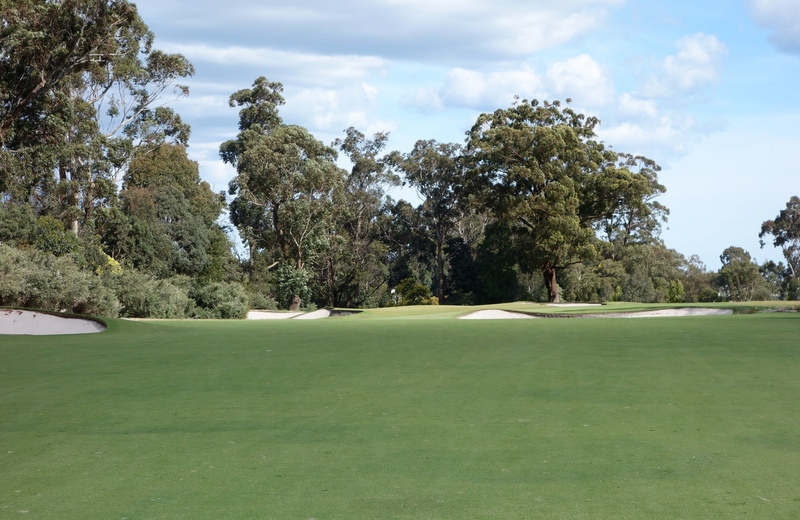 With the extremely fast and smooth green surfaces, they were some of my favorite green complexes that I have ever seen. Metro is also known for its superior conditioning. 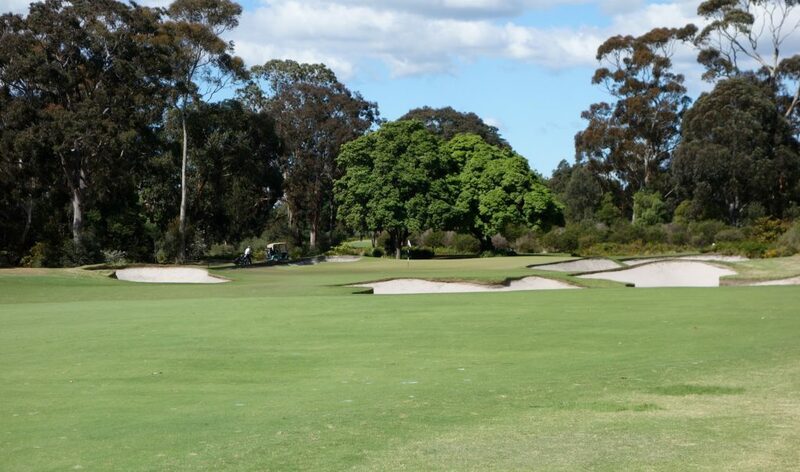 Nearly every Australian that I spoke to about the course mentioned that reputation, and it held true with firm fairways and very fast, smooth, and true greens. Even more impressive was that we played in September during a very wet and cool spring. The course was the best conditioned that we saw during our visit. 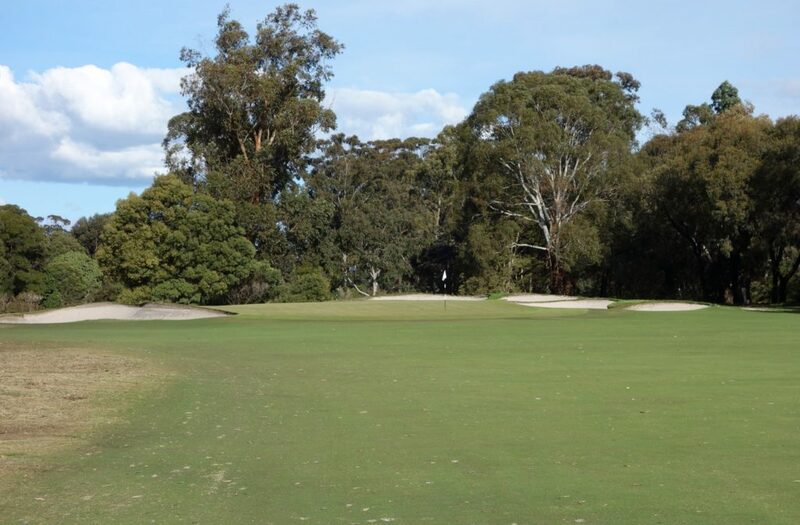 The history of Metropolitan Golf Club is an interesting tale that shows the varied background of many Australian clubs. 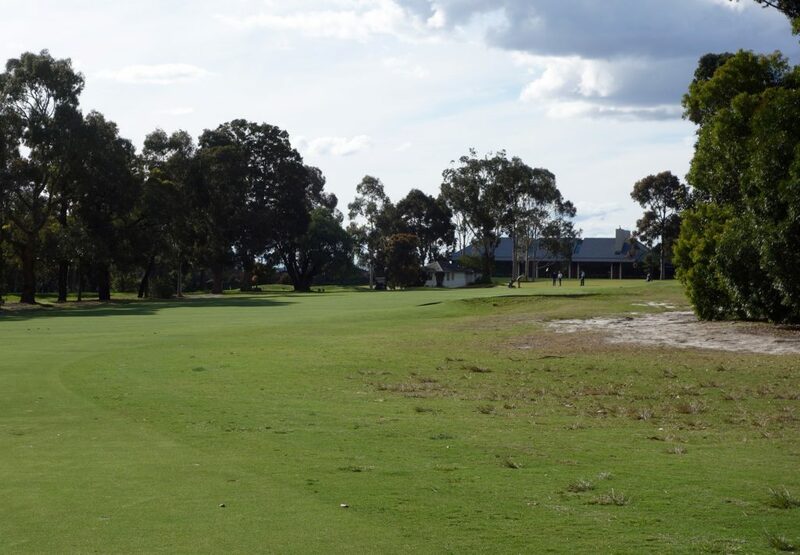 I never knew prior to researching my trip, but nearly every Sandbelt golf course wasn’t founded on their current location in the Sandbelt. 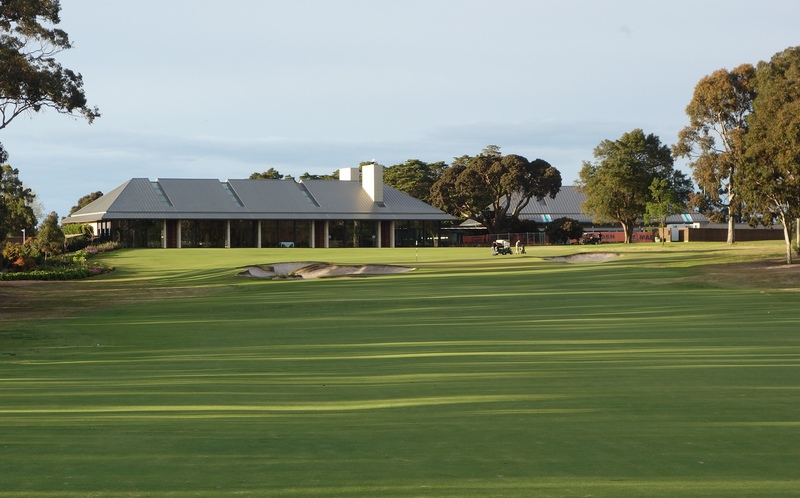 For instance, Metro and Royal Melbourne were once essentially the same club, called Melbourne Golf Club. 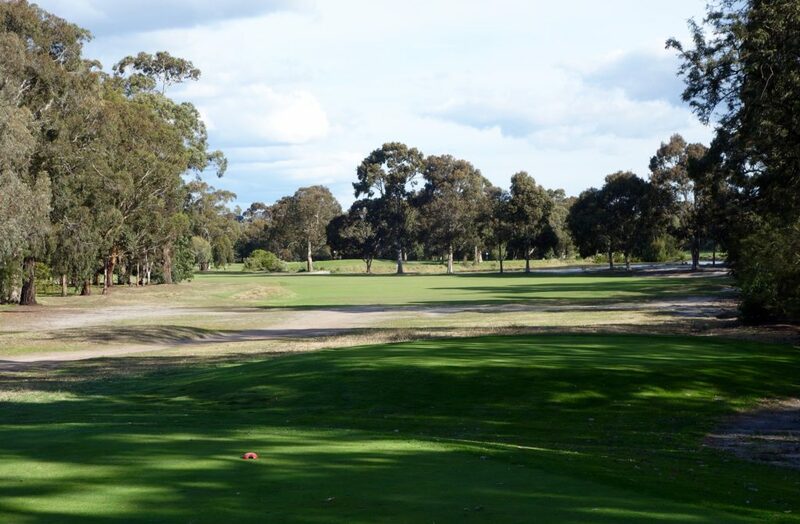 They played their golf at the links at Malvern, which in 1901 was engulfed by a housing development. Many members moved to a new location, which went on to become Royal Melbourne. 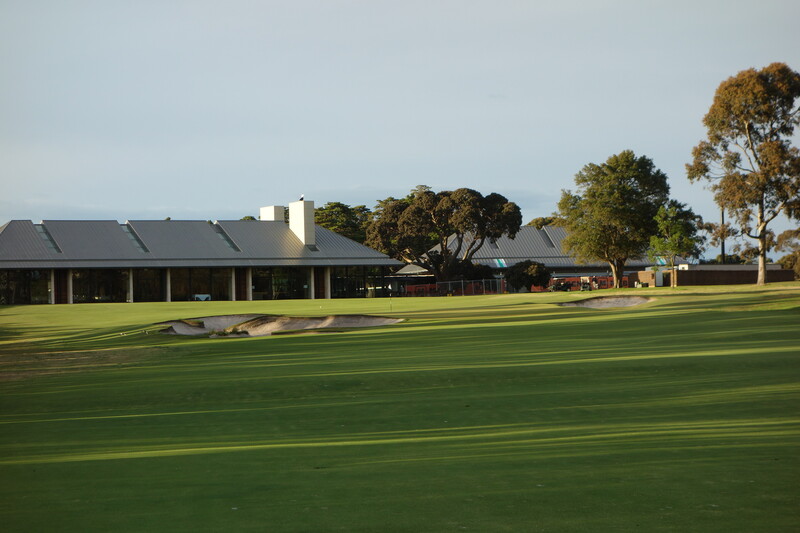 The members who remained eventually moved to a new location that would become Metropolitan Golf Club in 1908. The interesting history of Metropolitan took another turn in 1960, when much of the back nine of the course was taken to build a school. 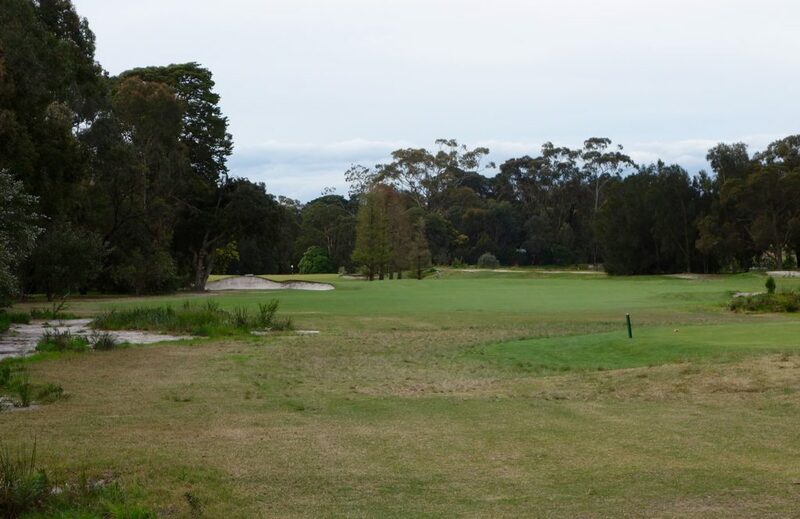 An adjacent piece of land was given to the course to rebuild those holes, and by all accounts the new land was inferior to the previous location. It was very interesting to play the course with a knowledgeable host who could point out the original land and explain the routing changes. 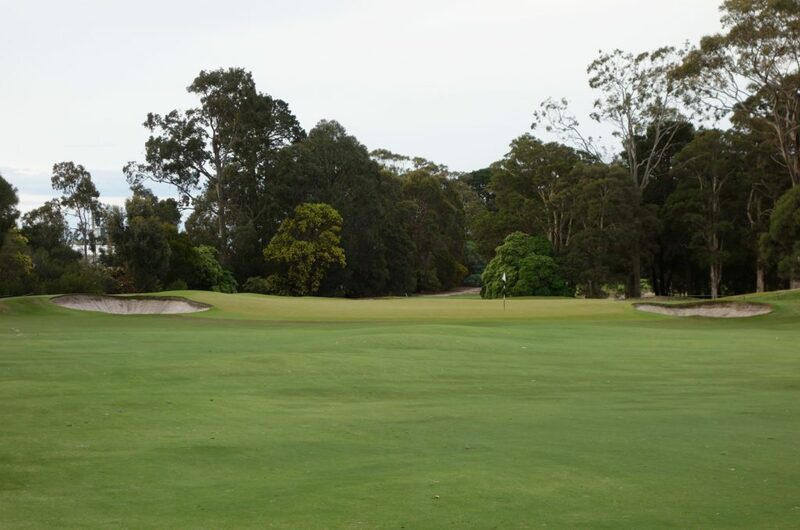 The course has hosted Australian Opens, Australian PGAs, a WGC Match Play, and many other professional and amateur events. The one negative factor that kept coming up when talking to local golfers about Metro was the relative flatness of the property. Now that I look back at the photos, I do notice it, but during the round it really didn’t cross my mind. 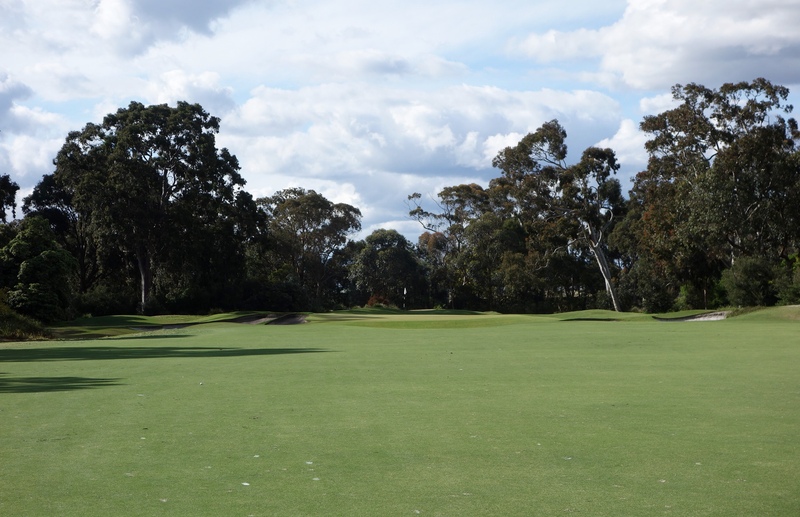 It may have been because I was completely enthralled with my first taste of Sandbelt greens. 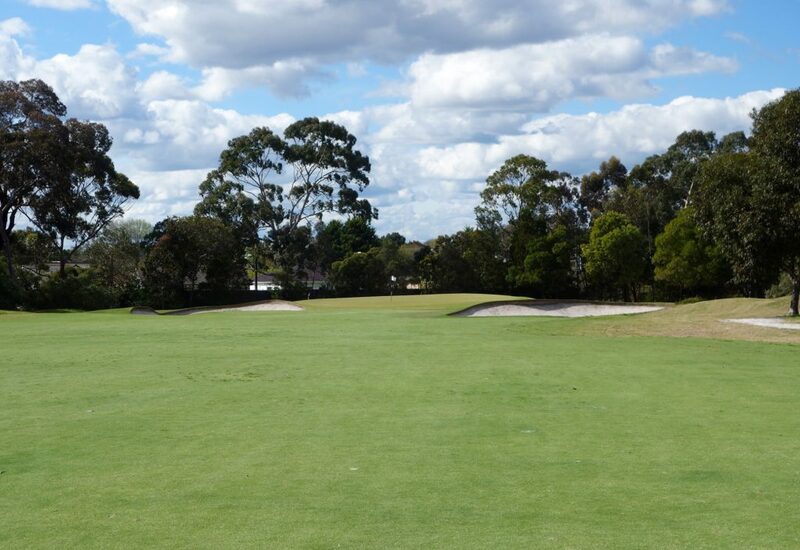 Hole #1 – 372 meters – The opening hole features a wide fairway and approach to a beautiful Metro green complex. 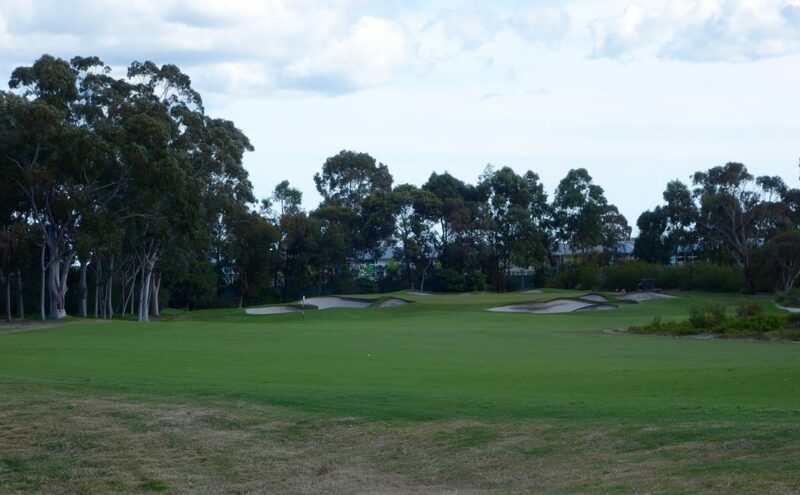 Hole #2 – 143 meters – If you didn’t notice the bunkering on the first hole, you can’t miss it here. The greens mowed right to the bunker edges are so unique and unfortunately, good old bunkers back here in the states don’t seem quite as exciting anymore. 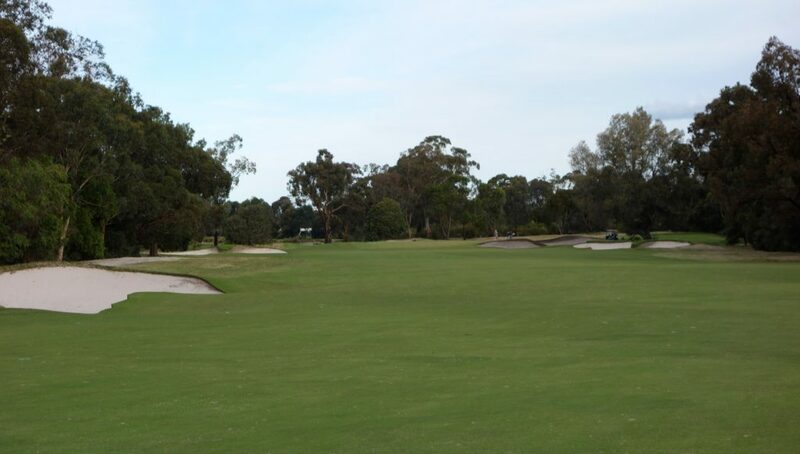 Hole #3 – 368 meters – This par 4 moves gently to the left and features a large sloping green. 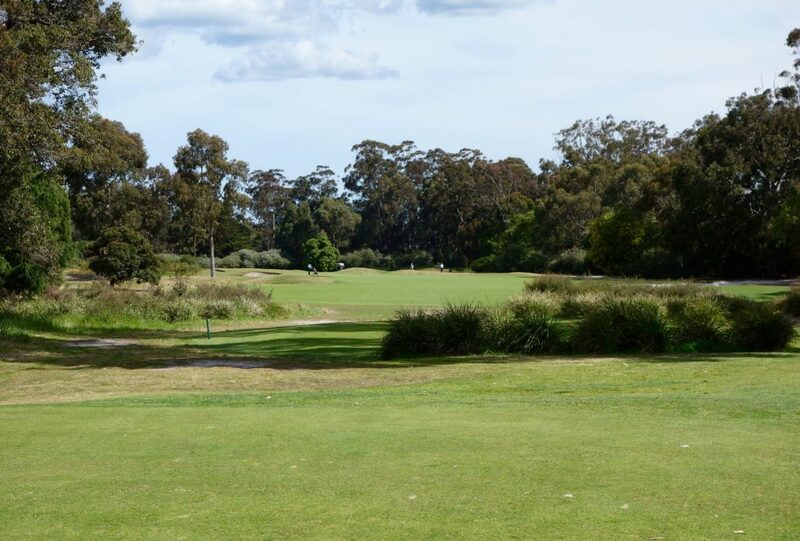 Hole #4 – 444 meters – The first par 5 of the course plays straight away, but tee shot placement in the fairway is key for the best approach angle. 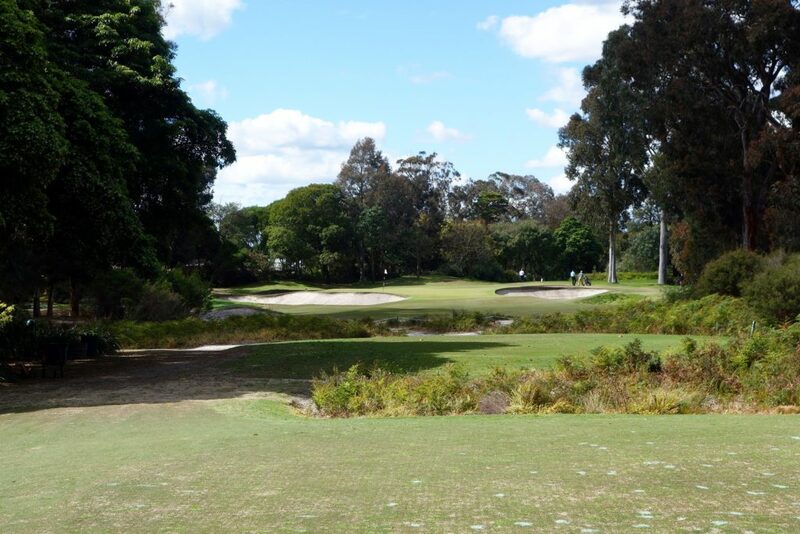 Hole #5 – 340 meters – This was one of my favorite holes on the course and is one I could play over and over again. I hit driver, but would hit 3-wood next time. The approach required creativity and thought with a deep green that sloped right to left. 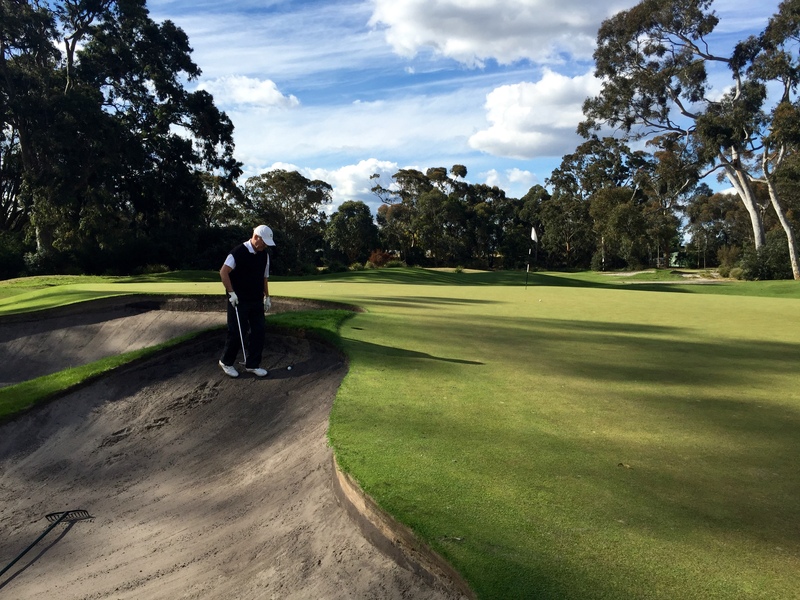 With firm conditions, the play is to land short right and feed a ball down the slope. 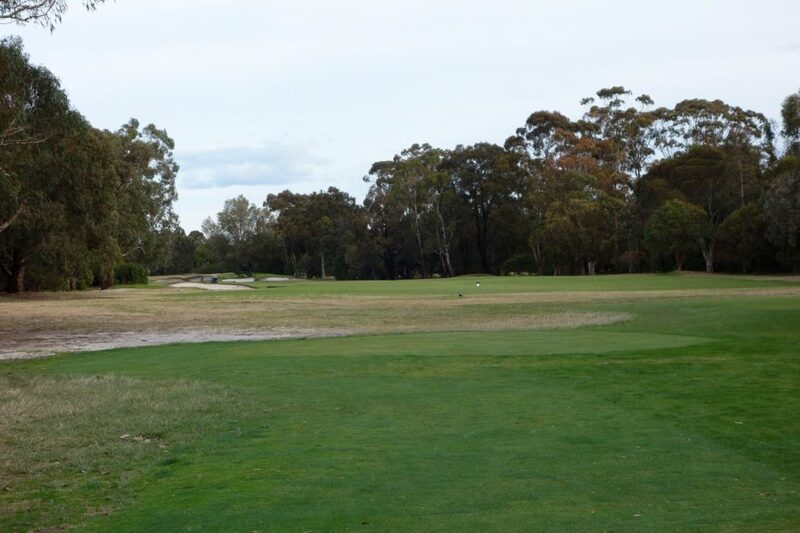 Hole #6 – 457 meters – This was the only hint of winter conditions on the otherwise impeccably conditioned course. The hole is a dogleg right par 5 and during our round we had a temporary winter green. That said, check out the green complex in the second photo! 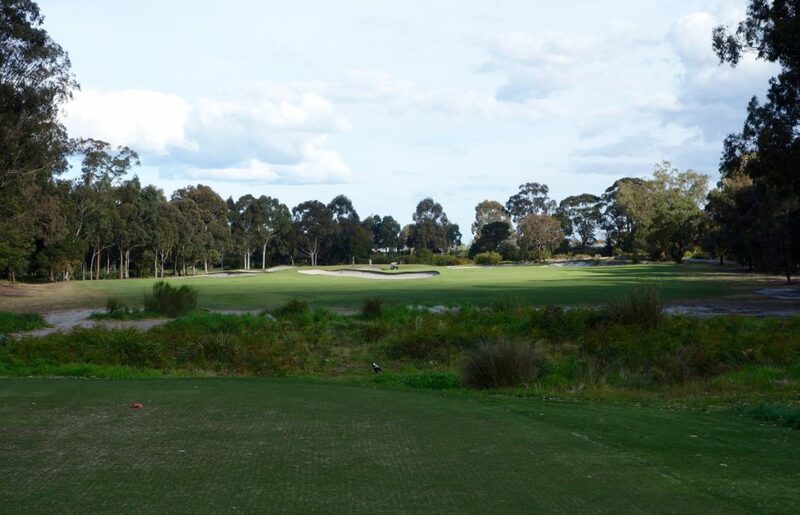 Hole #7 – 180 meters – No tips or tricks on this big par 3… just hit a solid long iron to center green. 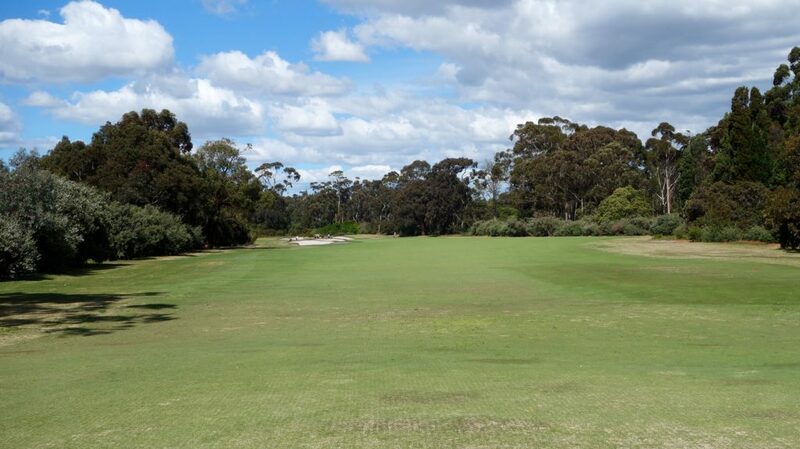 Hole #8 – 460 meters – The 8th looks lackluster off the tee, but the green holds all of the excitement. 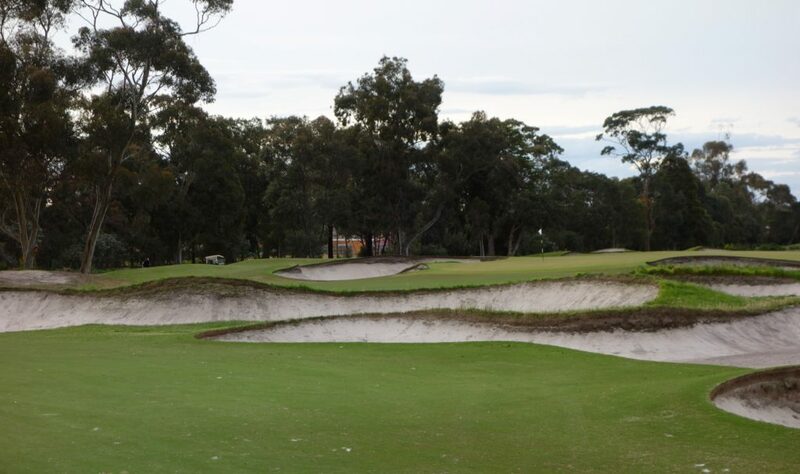 Deep, sharp-edged bunkers guard the green, which also features a mean false front. Hole #9 – 386 meters – The dogleg right 9th hole heads back toward the clubhouse and again, the real challenge on this hole is found on the green. Hole #10 – 396 meters – The back nine begins with a dogleg left and is an example of where the the flatness of the course is most noticeable. The green however, is set up perfectly for a running approach shot. 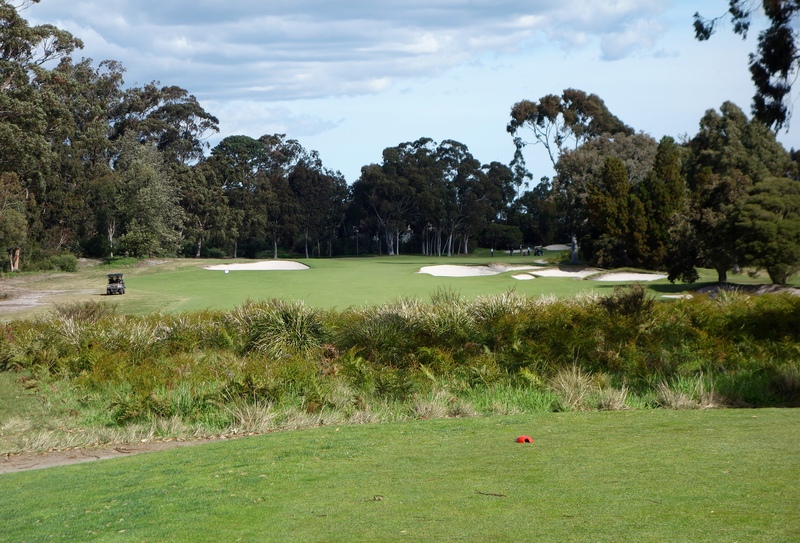 Hole #11 – 140 meters – The 11th was another hole that I’d love to play again. 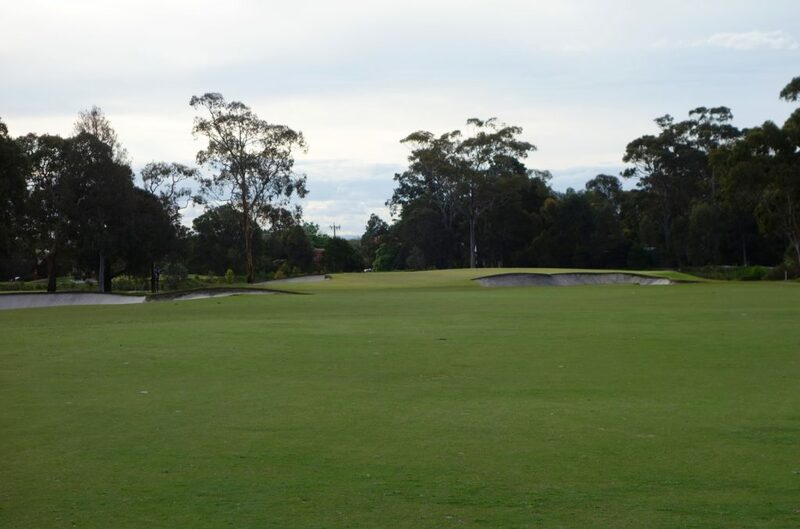 The well-bunkered green is much larger than it appears, as seen in the photo below taken from the back of the green. The tee shot could vary greatly depending on the pin position. 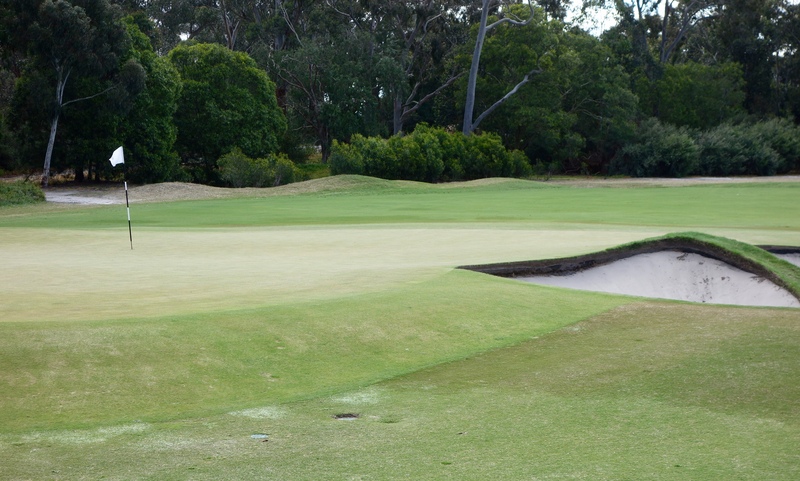 Hole #12 – 351 meters – The bunker in the fairway forces golfers to choose a left or right line. 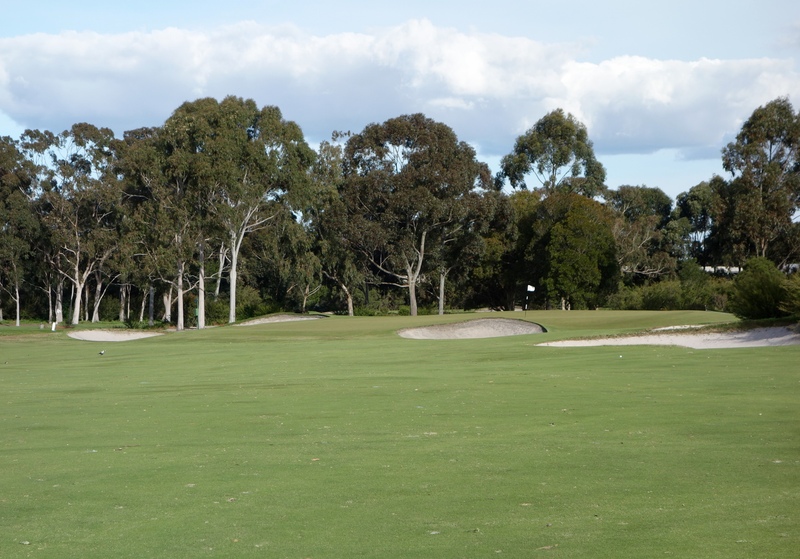 The green also features a tough collection area on the right that gobbles up any shots landing on the right quarter of the green. 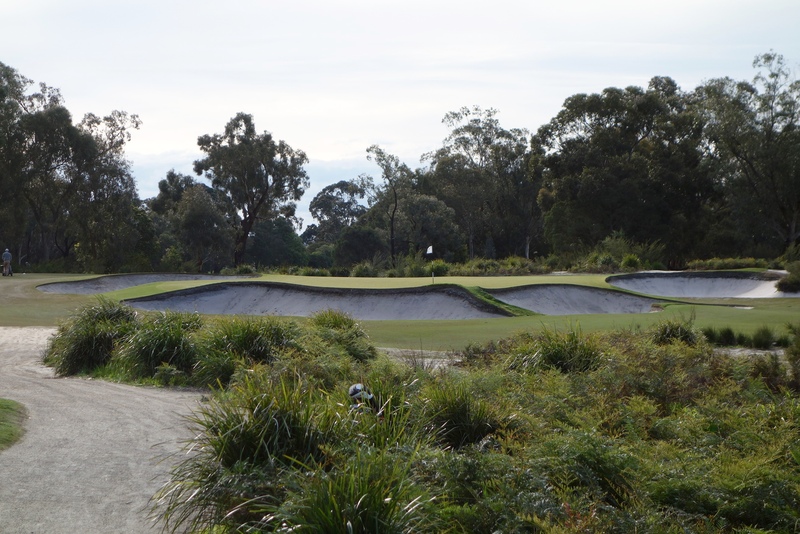 Hole #13 – 131 meters – This hole receives some criticism for the forced carry aspect of the front bunker. 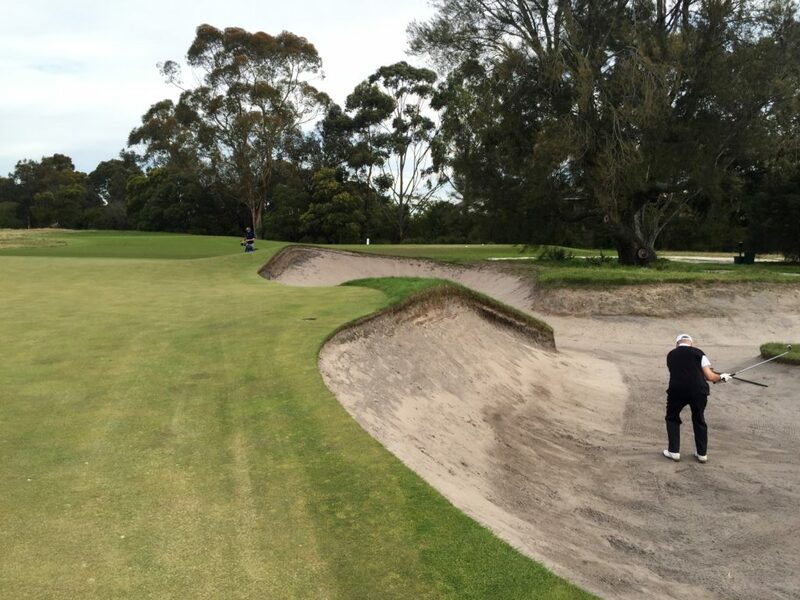 Carry that bunker and you’re in good shape! 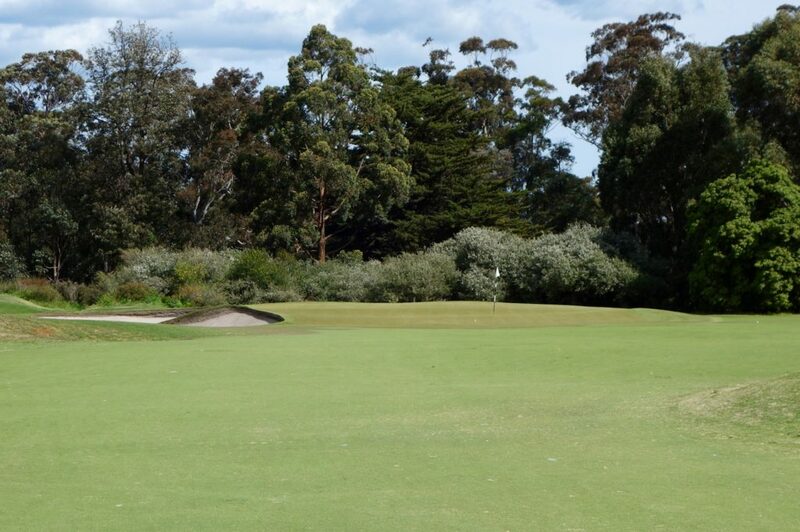 Hole #14 – 495 meters – This is the longest par 5 on the course and it featured another great green. The longest hitters have to consider the front bunker, but those who lay up to wedge distance have a fairly easy wedge in. 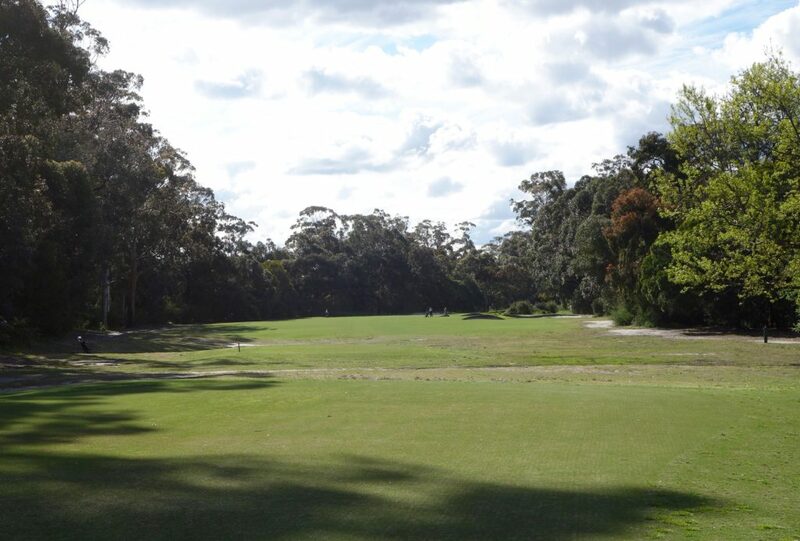 Hole #15 – 410 meters – A dogleg left here with a very large green. Have I mentioned the bunkers yet? Check them out! 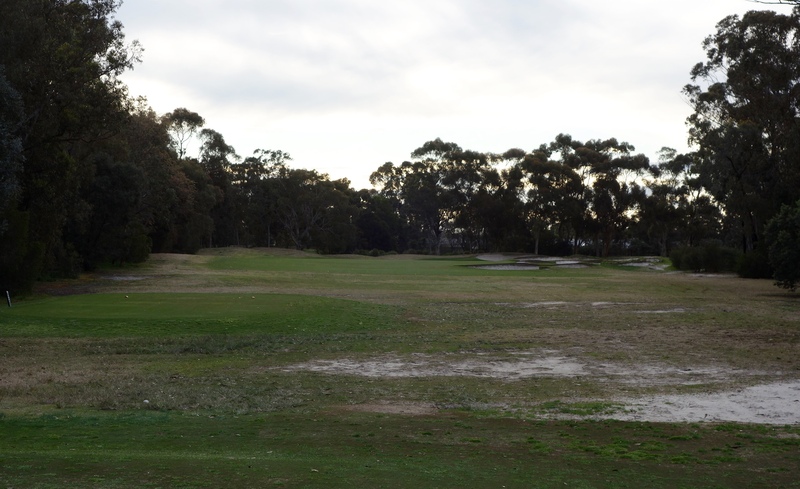 Hole #16 – 314 meters – The sun was setting at this point in the round, and it was interesting to see where the rough had been cut down in the winter. 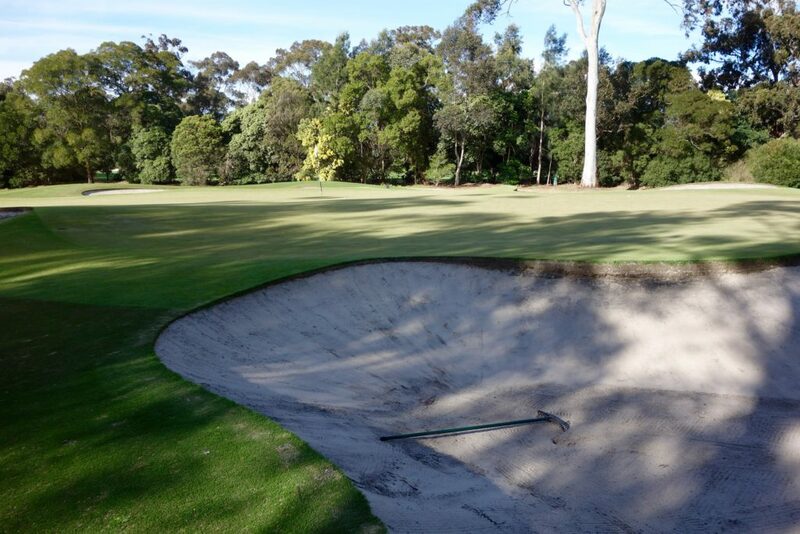 The hole was a great example of how bunkering can elevate a flat part of the property. 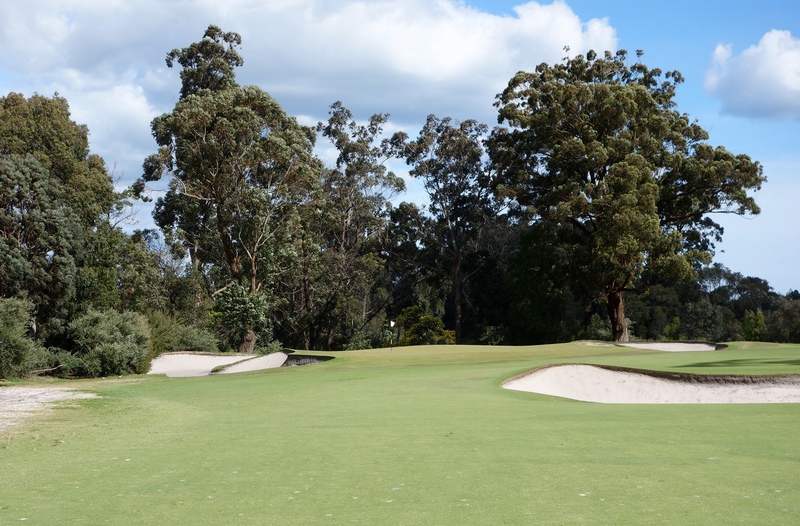 Hole #17 – 374 meters – This is a hole on the course that sparks some controversy, particularly surrounding those trees you see in the photo below. They aren’t native to the course, and while they do narrow approach shot options, they aren’t very natural or beautiful, either. Hole #18 – 383 meters – The 18th leads back to the modern clubhouse and with the sun setting, it was a moment I was very happy to share with my dad. 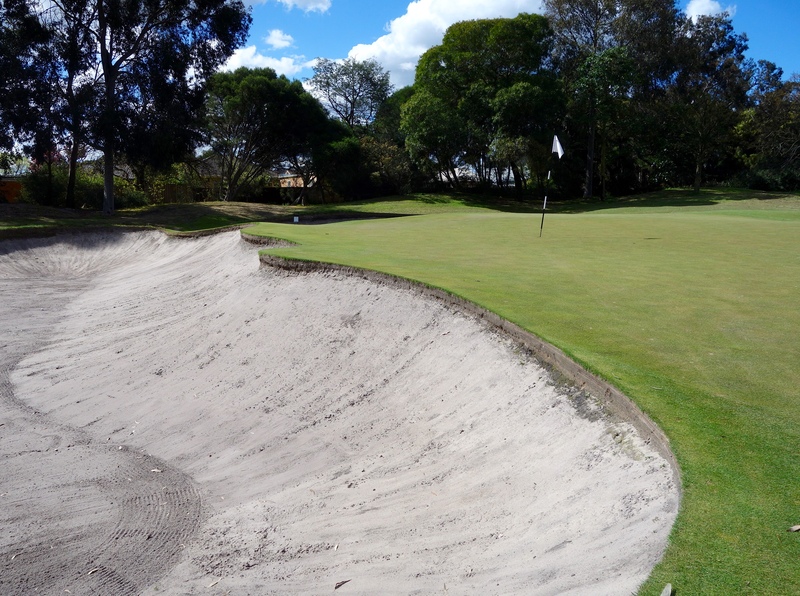 The final green doesn’t disappoint, with yet more tremendous bunkering that leaves you wanting more. 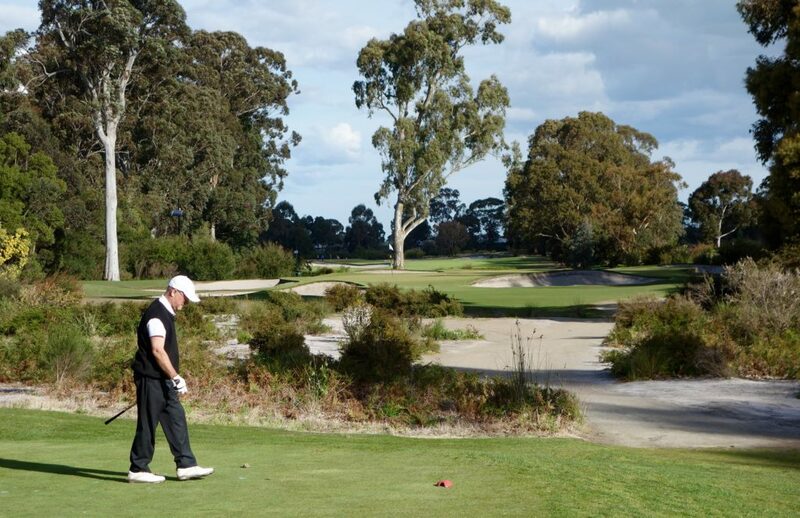 I hope to return to Melbourne to play golf again sooner than later. 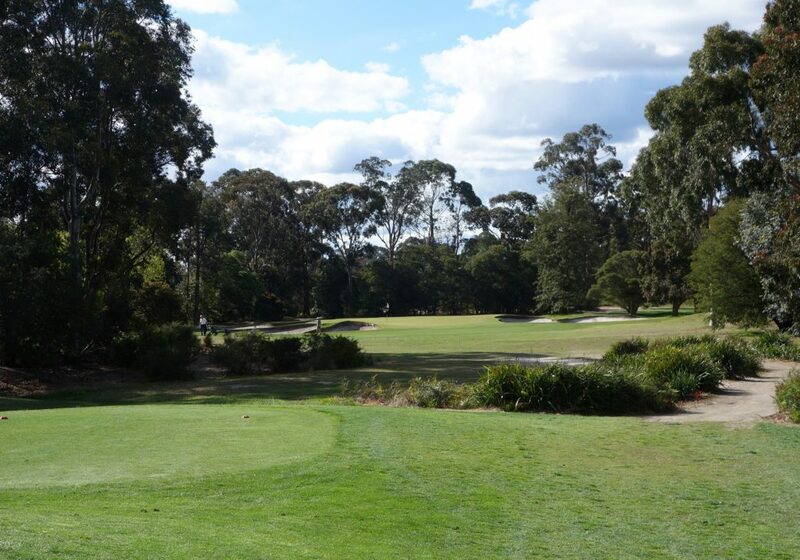 When I do, Metropolitan Golf Club will be one of the first that I book to play again. On the trip as a whole, we played six rounds of golf, and in terms of my favorites, I would place Metro in the top three. “Favorite” doesn’t necessarily mean best, but when I think back on the overall experience at each club, Metro ticks all of the boxes. Plus… just look at those greens!!! !